It's getting cold outside, and sniffles abound. 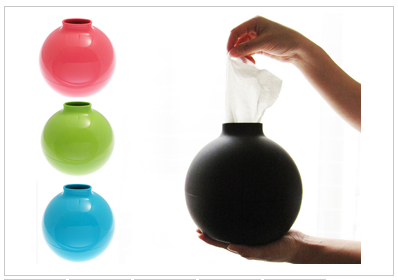 This is pretty much the most stylish tissue container I've ever seen. Ever. Available in Pink, White, Green, Blue or Black. Can also be used for bathroom tissue.